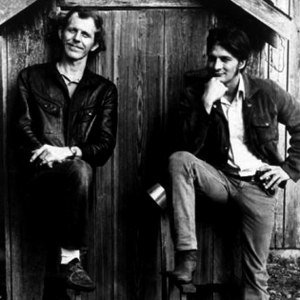 Dillard & Clark was a country rock duo which featured folk-rock legend Gene Clark (1944 ? 1991) and bluegrass banjo virtuoso Doug Dillard. They formed in 1968, shortly after Clark departed The Byrds, and Dillard left The Dillards. During their brief time as a duo, they were backed by fellow musicians Bernie Leadon, Chris Hillman, Sneaky Pete Kleinow, Byron Berline, and Michael Clarke. Their music has been hailed by critics and musicians alike as some of the best in the country-rock genre. They split up in 1969. After the split, Clarke recorded some solo albums before forming McGuinn, Clark & Hillman in 1979 with Roger McGuinn and Chris Hillman. Dillard continued with occasional appearances with The Dillards.